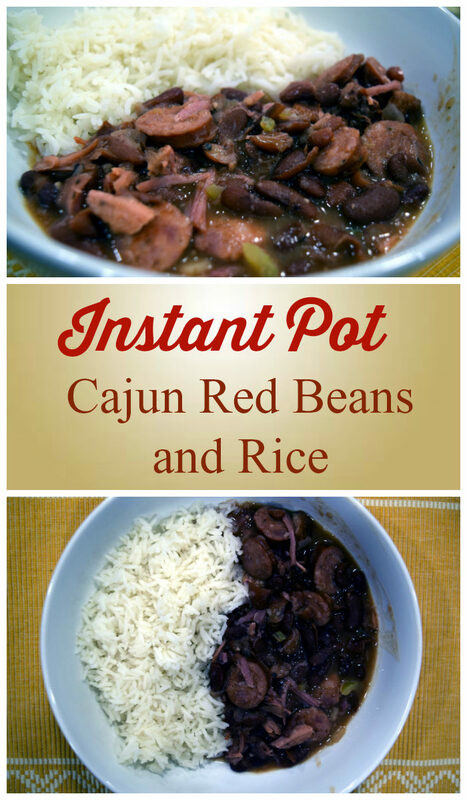 Oh how I love this Instant Pot Cajun Red Beans and Rice. 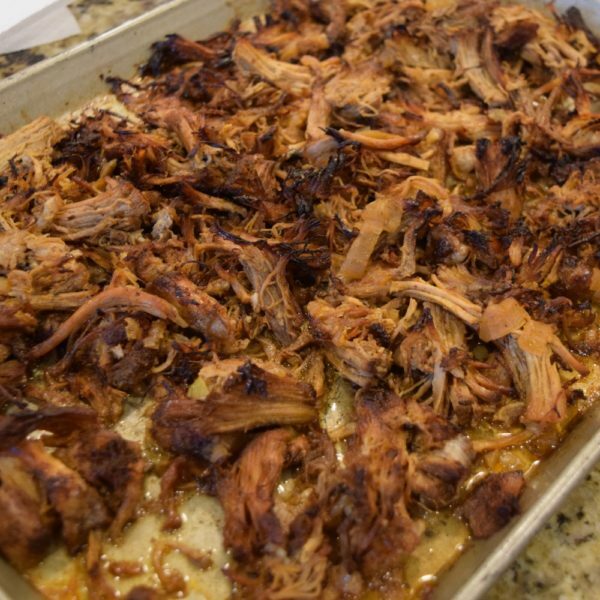 The recipe uses spicy Andoullie sausage for extra kick and smoked ham hocks for a nice smoky touch of flavor. You can leave out either and still make a good recipe. Heck, you could make this vegan if you want by leaving out all meat and using vegetable broth. But for the the full taste Cajun experience, I highly recommend adding both sausage and ham hock. The Ham in particular adds so much to the dish! I started this recipe with Instant Pot quick soak beans. The recipe is written and tested with either quick soaked beans or beans soaked overnight. However, if you wish to substitute canned beans, you can substitute three cans. I would suggest then adding the beans at the end when you put the sausage back in. 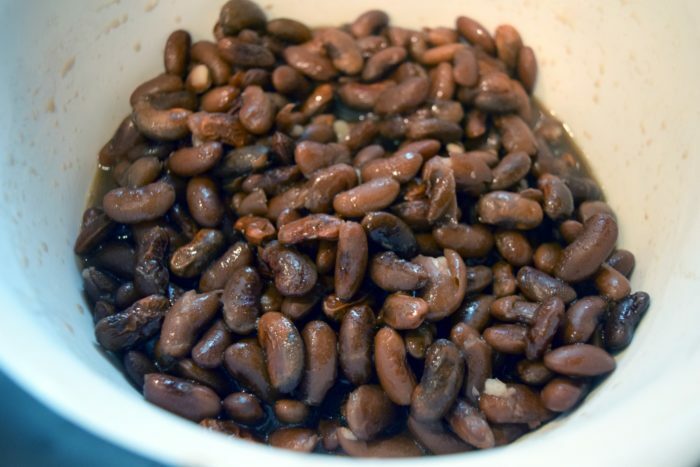 Your beans will not have nearly as good of flavor (not even close to as good), but you will eliminate the need for the quick soak. So, I seriously suggest sticking to dried beans for this recipe! 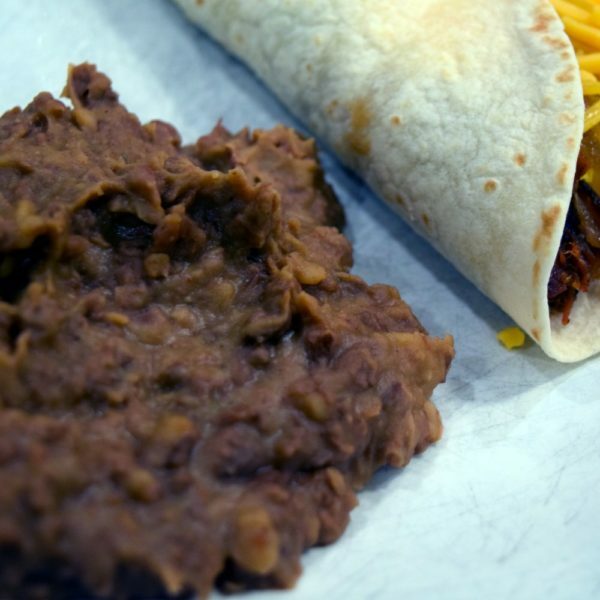 Your other option is to skip the presoak and simply start with dried beans. Results with that can be inconsistent and I suggest pressure cooking a bit longer, perhaps 40 minutes, if you do so. 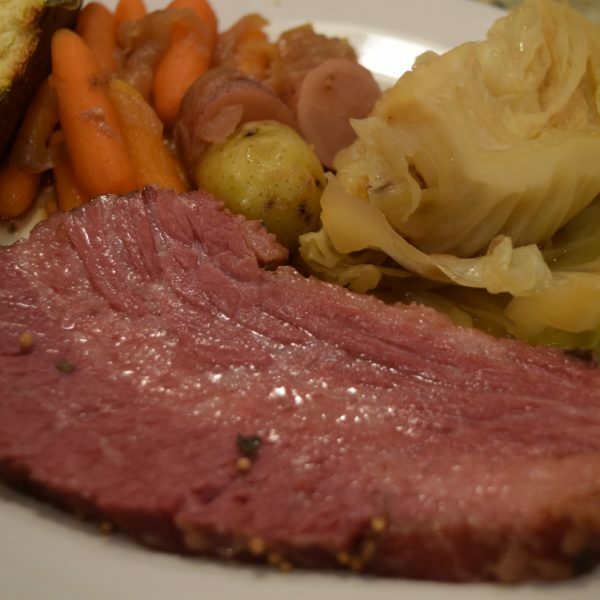 Smoked ham hock added to this recipe adds a ton of great smoky flavor. Ham shank can also work. Ask your grocery meat department for it, they should have it. I got mine from our purchase of a portion of a hog for the freezer. I was excited to finally make some good use of it! 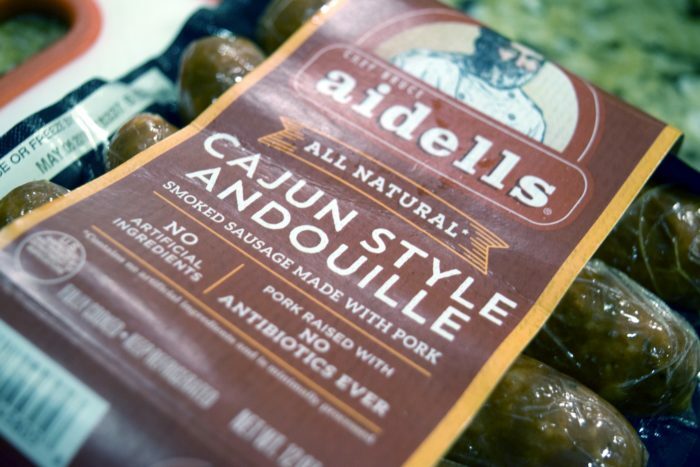 You can use any Andouille sausage, but I prefer Aidells Cajun style. 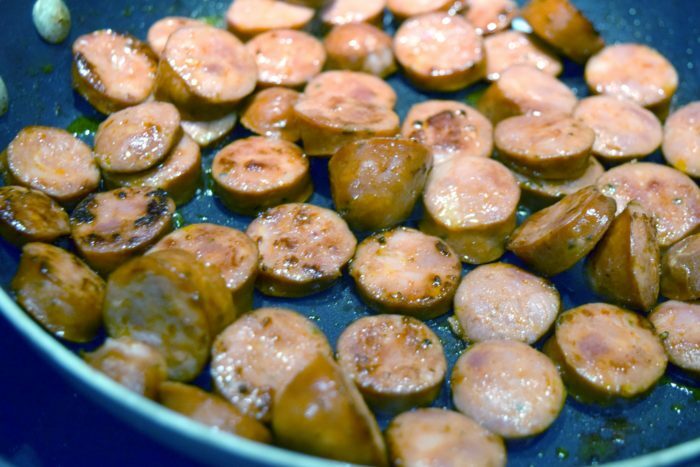 It give the sausage a nice Cajun kick that really stands out in this recipe. When browning the sausage, make sure to get it nicely browned. Reserve the sausage, you will put it back in at the end. I sometime brown mine in a pan while the rest of the recipe is pressure cooking, just to save a bit of time. If you do this, save the juices form the sausage and add them back in at the end. For Cajun seasoning, you can use any brand. You could also use simply Cayenne Pepper if you prefer. 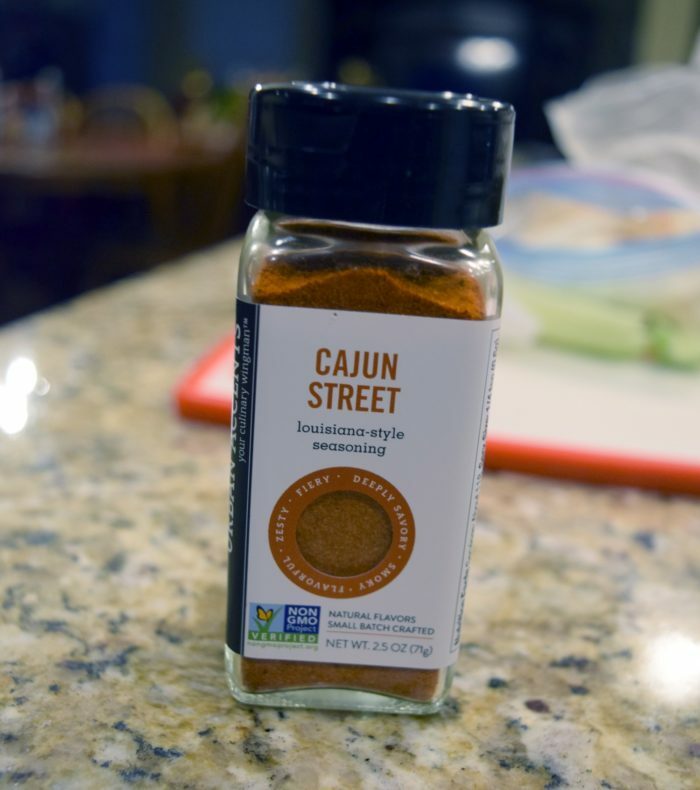 I use Cajun Street Louisiana Style Seasoning because it is easy to find and I have had good experiences with it. Once the beans are soaked and everything is in the Instant Pot, the recipe is pretty easy. Simply pressure cook everything expect the sausage on high pressure for 30 minutes, then use natural pressure release. That natural release helps keep the ham hock moist and finishes the cooking of the beans. Next, remove the ham hock and shred it, add back in the sausage, and stir on saute mode until thickened. If you like your red beans mashed, feel free to remove some and mash them. I usually just mash a few while I am stirring during thickening. 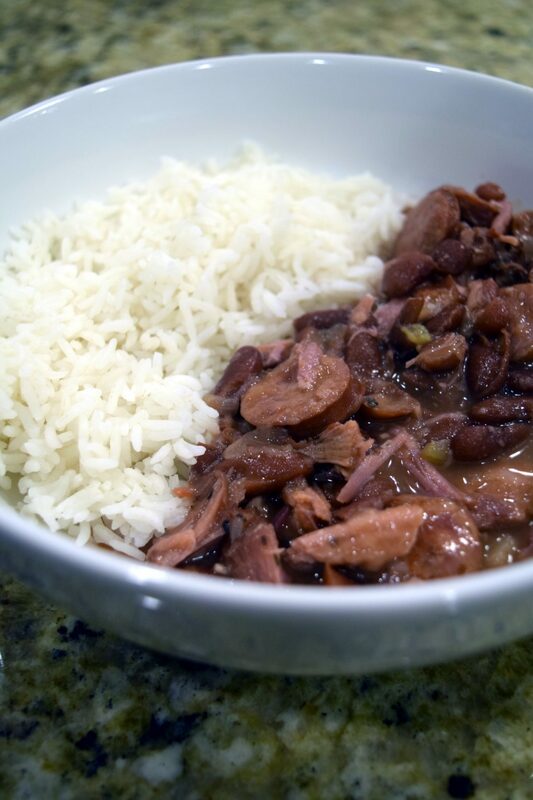 Serve your Instant Pot Red Beans with rice. If you need a rice recipe, here you go! How to Make Perfect Instant Pot White Rice. This recipe is already on the spicy side, but I add a few drops of hot sauce (Frank’s Red Hot) to mine because I like lots of spice!. Feel free to do so to taste for extra kick. Instant Pot Cajun Red Beans and Rice. 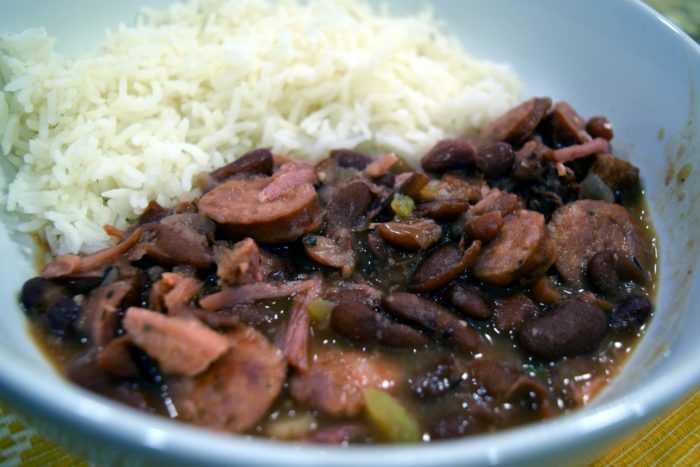 This recipe adds Andouille Sausage and Ham Hock for an authentic cajun taste. Brown Andouille sausage, about 5 minutes, then set aside. Add onion, bell pepper, celery, and garlic. Saute until onion is soft and translucent, about 5 minutes. Stir in thyme, oregano, Cajun seasoning, salt, and black pepper. Deglaze the inner pot, with broth if needed, scraping up any brown bits. Add the red beans and ham hock. Float bay leaves on top. Pressure cook on high pressure for 30 minutes. 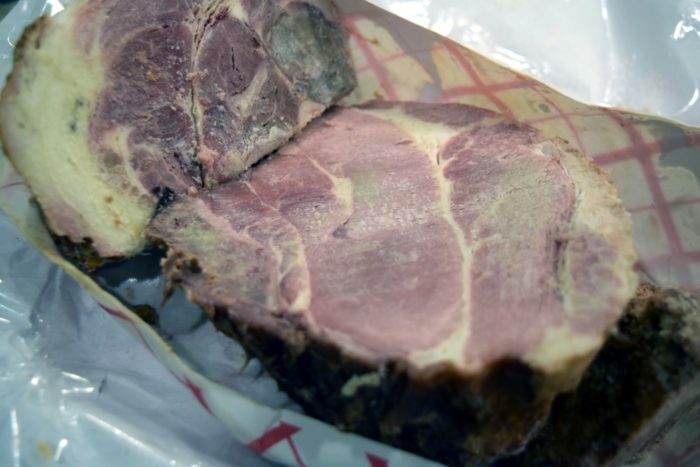 Remove the ham hock and shred or chop it into bite-sized pieces. Return ham hock and reserved Andouille sausage to the pot. Turn on the saute mode and allow the beans to thicken, about 5 minutes, stirring occasionally, mash beans if desired. 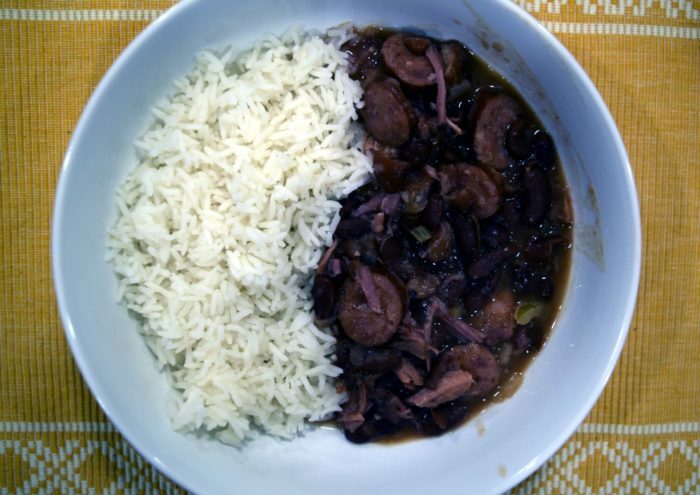 Being from Louisiana I LOVE me some Red Beans and Rice, however, being from Louisiana my recipe takes a couple of hours to cook and is actually better the longer it simmers. I’d love me a version that I can eat in under an hour! Going to have to try this. This is based in part on my old simmer for hours recipe. It honestly came out just as good, although like the stove top kind, I think it improves with sitting. The leftovers of this reheated were particularity great! As far as instant pot recipes go, it is a longer to prepare one, but still quicker than the traditional method. This sounds yummy. I’d have to adjust for spice so I have a shot at the kids eating it, but I’m a big fan of spicy Cajun food! 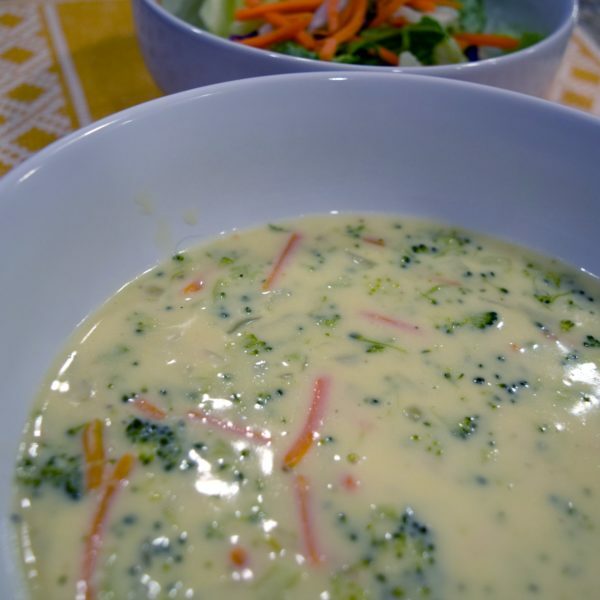 I made a soup today that made me crave an InstaPot. We’re about to redo our kitchen so maybe that will happen after that. I don’t have an InstaPot but your dish looks delicious. And spicy is good in my book! That looks downright delicious!!! I think food pictures would be soooooooooooo hard to do. Food is harder to capture it’s essence than makeup. This looks so yummy and easy . Mmmmm I’m so hungry! Gonna have to try this out one of these nights! Thanks for sharing this! We just got an InstaPot for Christmas so this website is fantastic for us! I so want an insta-pot. As my kids get older we seem to be busier and busier. This would be a lifesaver, although I’m such a wimp with spice (mild salsa is too much for me) that I’m not sure I’d be up for trying a cajun dish. IT does look delish though. I can only cook because of my Instant Pot. I love sausage dishes! You could try serving this with buckwheat as well for a fun European twist. This is definitely a recipe I can appreciate this time of year, especially with the current cold front we have going through the area!